If you’ve had your application for automotive business financing turned down by banks and other lenders, you’ll be pleased to know that there’s a good chance we can help you! Here at MCAT we offer an alternative form of business financing known as a merchant cash advance. Where banks and other lenders say no, we always do our best to say yes! If your business is in need of a lump sum cash injection for whatever reason, don’t hesitate to pick up the phone and talk to us today – we’re here to help you! With a merchant cash advance we make a lump sum payment to your business up front. That lump sum payment is our way of purchasing a portion of your business’ future sales. On top of the amount that you repay will be a fee and an arrangement charge – but you won’t ever have to pay back a fixed amount each month because repayments are calculated based on a percentage of your actual takings. This is a really good thing that a lot of business owners love about cash advances – it means in those strong months your business will repay more of the debt – and in those weak months when cash flow is rather delicate, much less needs to be repaid. A merchant cash advance offers flexibility which is something a lot of business owners really appreciate. The repayments on your cash advance will be taken automatically – it means you don’t need to worry about making a fixed manual repayment each month – everything will be done behind the scenes, all you need to worry about is running your business. 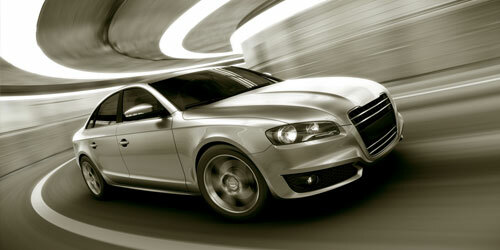 What can you spend the automotive business financing on? A merchant cash advance is just another form of automotive business financing – much like a bank loan is. It’s entirely up to you what the funds are spent on – but a lot of our clients tend to use them for things like new equipment, new premises – or even just to shore up cash flow if sales have been a little lower than anticipated. Whereas banks ask for lots of documents and long forms to be filled in, we like to expedite the approval process wherever possible. You’ll usually know whether we can help your business with our alternative business financing in just a matter of days! We won’t keep you in the dark – we’ll make a decision on whether we can help in your question for automotive business financing, and as soon as we know, we’ll let you know! Fill out the short application form here on our website or call us today to enquire further about our merchant cash advance funding options.